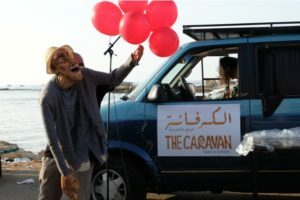 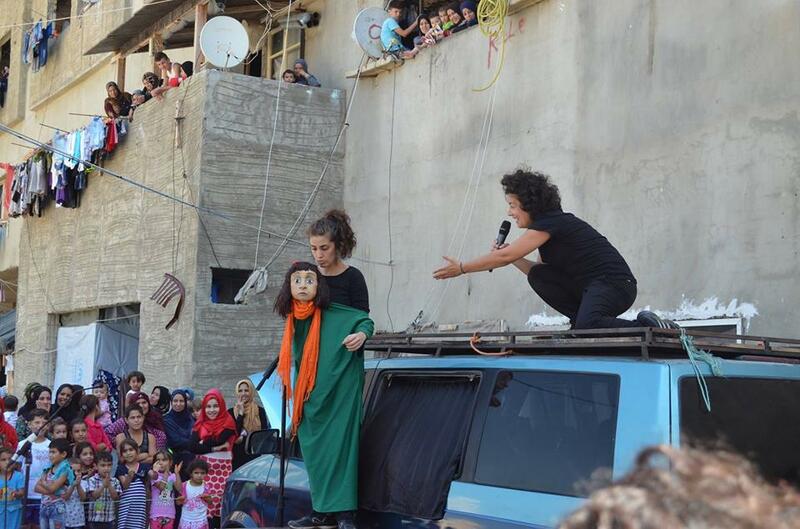 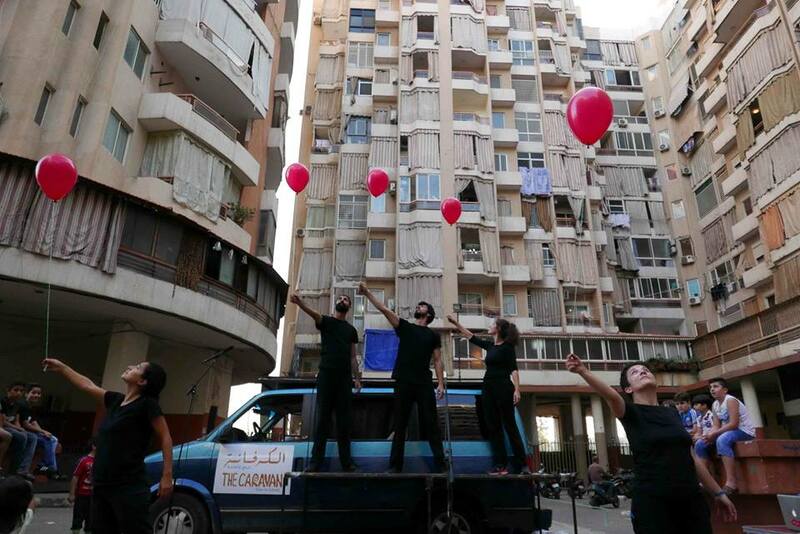 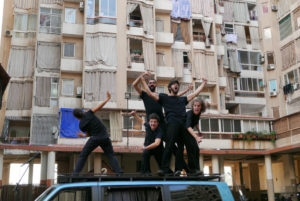 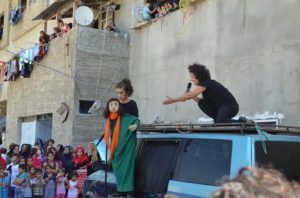 The Caravan is an innovative street theatre project initiated by the Lebanese Sabine Choucair, artistic director of Clown me In, to fight discrimination and violence against Syrian populations living in Lebanon. The project is founded on the basis of recorded true stories, gathered through workshops and discussions with Lebanese, Syrian and Palestinian children and adults. The stories are about love, discrimination, life and death all taking place within the last few years in Syria and Lebanon. The stories are put on stage by a group of actors who use The Caravan (a converted van) as their stage. The style is based on physical theatre, comedy, grotesque, big scale puppets and drama. 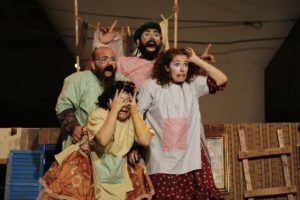 Julia Yevnine participated at the creation of two of the three plays, “the Caravan goes to school” and “Van 12”, as puppet maker and associated director. 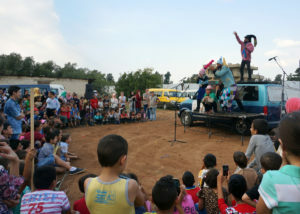 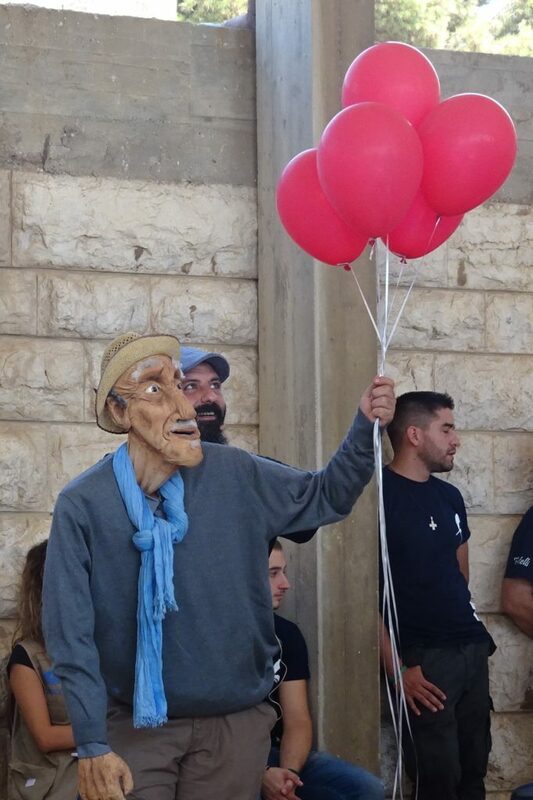 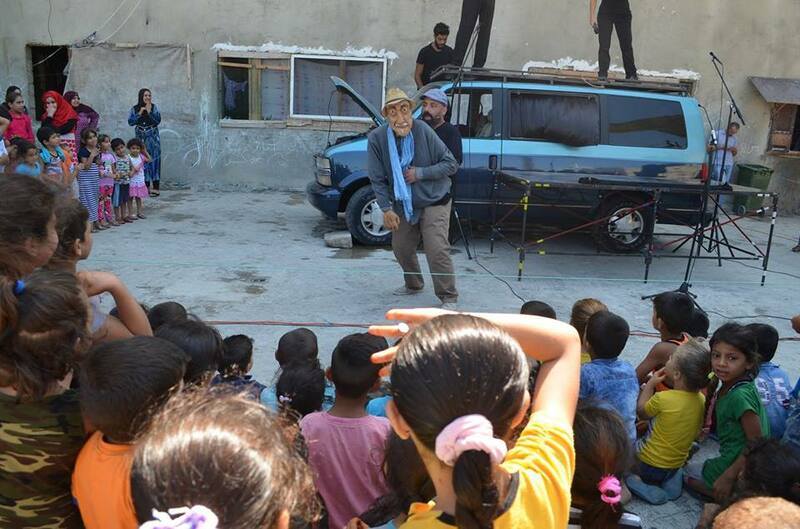 The Caravan is implemented by Beirut DC and Clown Me In in partnership with UNICEF and supported by Australian Aid. 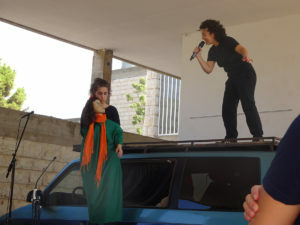 The performance includes audios, clowning, puppetry and music. 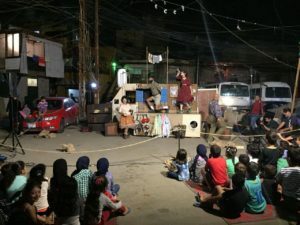 “Van 12” is a project that puts children’s voices at the heart of a street theatre performance through the use of recorded storytelling audio. 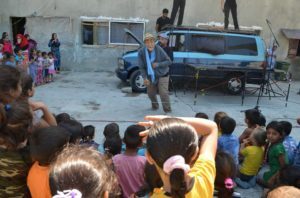 Stories have been gathered from children who have had their rights neglected or violated. 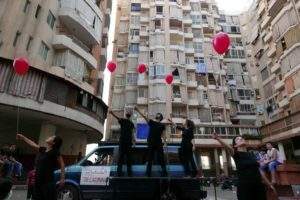 They share their experiences about how they are coping with violence, bullying, poverty, forced labour, and other violations of their legal rights. 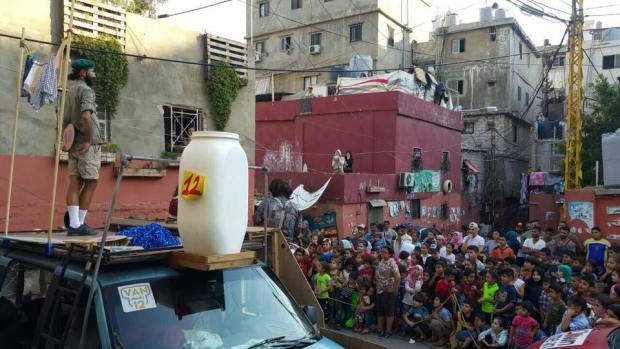 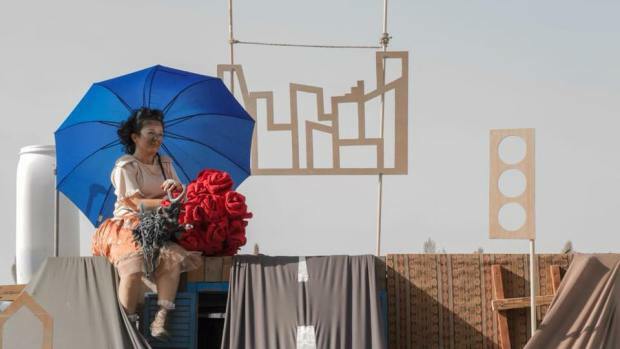 The stories are presented alongside a performance by a team of professional actors in public spaces around Lebanon on a fantastical, movable, drivable set. 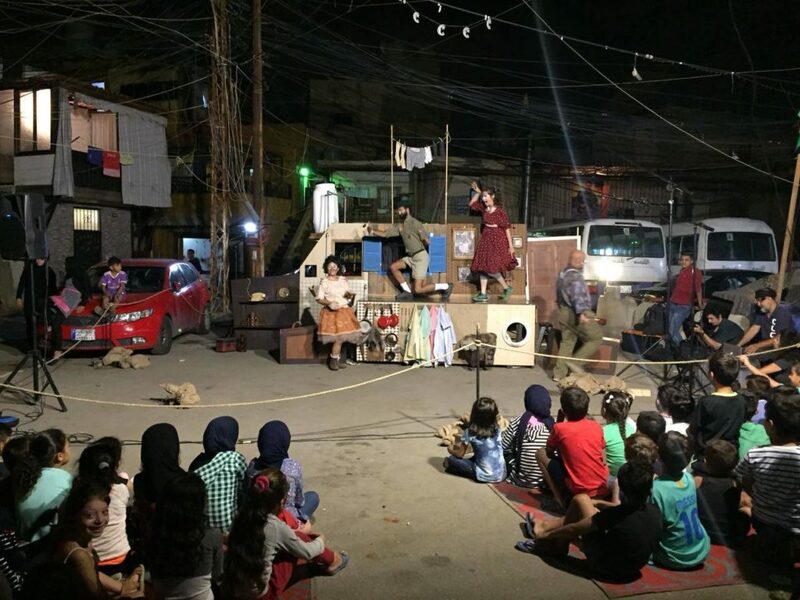 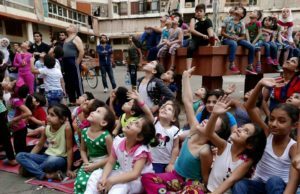 The overall goal is to use theatre and storytelling to raise awareness among people living in both cities and remote areas in Lebanon of the importance of child rights, to teach children what their rights are, and to know where and how to find help. 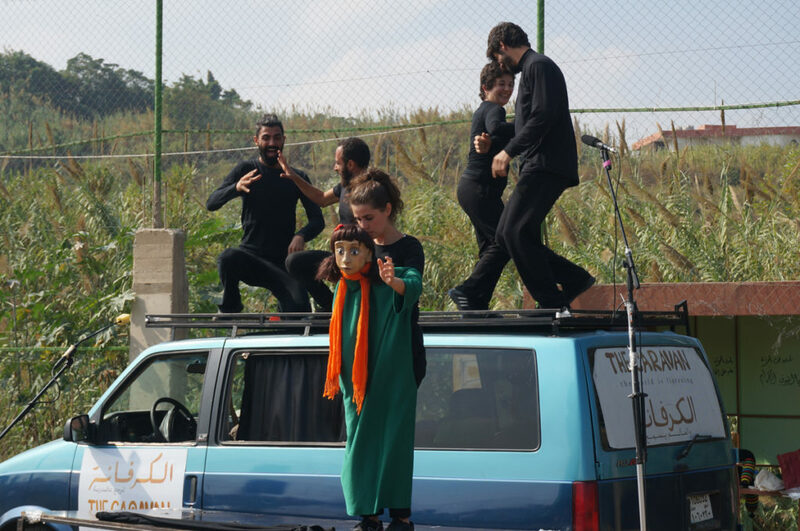 “Van 12” derives its name from the idea of a travelling troupe who present stories which teach 12 of the most fundamental protections from the UN Convention on the Rights of the Child.